Roni spent 34 years in the wholesale book industry working with public libraries and military installations. She has been visiting Renacer since 2004. Roni is an amateur archivist of sorts, overseeing the collection of photographs and annual scrapbook project for the children and staff of Renacer. ​Roni has lived in rural Pennsylvania her whole life. She is married to a guy who has been making her laugh for more than three decades. 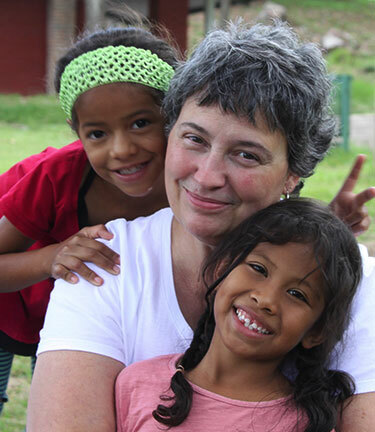 ​Serving at Renacer has changed her view of the world and blessed her in countless ways.